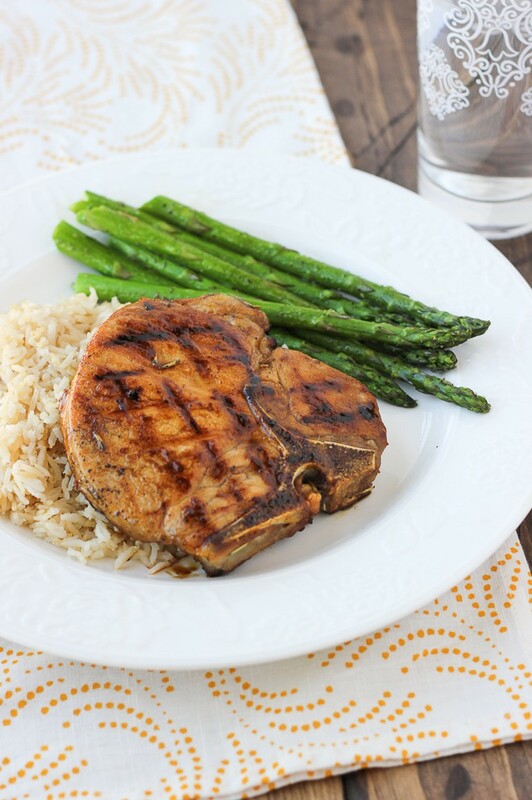 Brined Balsamic Honey-Glazed Pork Chops! 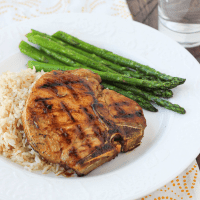 Brining is the SECRET to making these glazed pork chops moist and flavorful! Pork chops often have a bad reputation, that isn’t totally unjustified! I have had many experiences with pork chops that were thin, dry and reminiscent of a shoe sole. When I figured out how to brine pork chops, it changed my pork-eating life (which mostly revolved around bacon and tenderloin)! 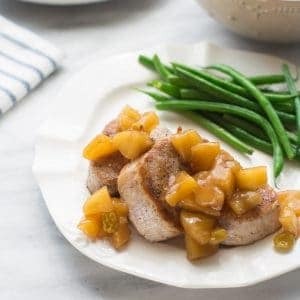 Brining pork chops infuses them with flavor and ensures juicy chops every time. Brining may sound complicated, but it is as simple as throwing a marinade together. Once the chops are brined, it only takes minutes to get this dinner on the table. The sweet and sour glaze is so delicious, I could eat it with a spoon on it’s own! It goes perfectly with the brined pork. 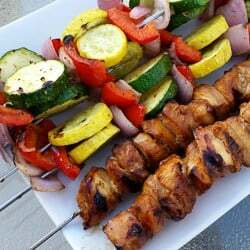 I like serving these over steamed rice with some roasted vegetables on the side. Enjoy! In a small saucepan, combine the salt, sugar, rosemary, bay leaves, and 4 cups of water. Stir until the salt and sugar are completely dissolved. Pour the liquid into a bowl and add the remaining cup of cold water and the ice. Stir until the ice dissolves and the liquid is chilled. Add the pork chops, cover and refrigerate for 3-8 hours. Longer than 8 hours may make the meat overly salty. Combine the balsamic vinegar, honey, garlic, scallions, and rosemary in a small saucepan. Bring to a boil over medium-high heat, stir until the honey is dissolved. Reduce to a simmer and cook for 8-10 minutes until slightly reduced and thick. Whisk in the butter and season with salt and pepper. Remove the pork from the brine and rinse with cold water. Pat the pork dry and season with pepper. Do not salt it. In a skillet, heat some oil over medium-high heat. 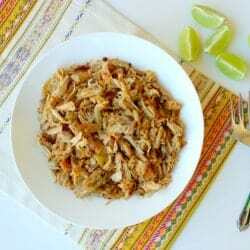 When the oil is hot, add the pork and cook on each side for 4-5 minutes or until cooked through. Larger chops will take longer than thinner ones. Transfer the cooked pork chops to a platter and drizzle with the glaze. Enjoy! *Be sure to find a brand of balsamic vinegar with no added caramel color. Caramel color can sometimes contain gluten. I’ve never brined anything before so I was really excited to try this out! These pork chops taste AMAZING.